New hybrid workflows will be demonstrated that can easily run processes on premises or in the cloud. With a stated goal of helping media organizations address rising costs and quality issues for multi-platform, multi-versioned content distribution, at the 2019 NAB Show Telestream will demonstrate new products and workflows that address content creators, owners and distributors from creation to distribution under the umbrella of the Telestream Cloud. The new cloud-based products will enable faster time to market for customers with “instant” channel creation and integrated video monitoring throughout the solution to create smart infrastructures with dynamic scale. Video monitoring technology from Telestream iQ solutions as well as streaming technology from Lightspeed Live Stream will also be on display, which can all be sued to create a unique, containerized, OTT video workflow orchestration and monitoring solution. New hybrid workflows will be demonstrated that can easily run processes on premises or in the cloud depending on where the media currently resides or will reside. 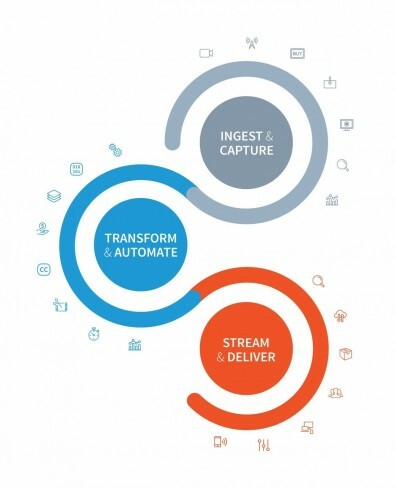 Telestream’s products span the entire content lifecycle, from origination to the consumer. Vantage is a software-enabled media processing platform that manages all media services from the camera to the point of distribution. Advances include cloud and hybrid workflows, new camera ingest functionality, and Traffic Manager options with improved Grass Valley ITX integration. New Vantage features also include support for growing file support when uploading into IBM Aspera. Telestream’s iQ solutions manage and measure video quality from the source, at the video player and at key points in between. The latest version features a new UI and workflow that makes it easy to read video distribution status for rapid issue detection and quickly drill down into the details to isolate and fix a problem. It Includes real-time status visualizations, drill down navigation to troubleshooting across multiple dimensions, custom access roles and user profiles, viewership impact analysis with integrated end client analytics and the ability to monitor captioning and subtitle presence, performance, and video alignment. The solution is available for appliance, virtual and cloud-based deployments. The latest version of Wirecast adds support for restreaming and live captioning workflows with the introduction of Wirecast Live Captions and Wirecast Restream, two new web services hosted on Telestream Cloud. These capabilities solve two of the most common issues facing live streamers today: the creation of captions for live events and the need for efficient multi-platform distribution, even when upload bandwidth is limited. Telestream’s Lightspeed Live Capture now supports [email protected]—or remote production—leveraging unmanaged, high speed internet. Lightspeed Live Capture, being built on the Vantage media framework, is the ideal enabler for this use case. For Dynamic Ad Insertion, the latest version of the system adds the ability to use a rules file that instructs the system how to react to SCTE-104 triggers. Lightspeed Live Capture also has new triggers for manual start/stop for automated recording workflows and record-on-activation for recording interruptions (i.e. a power outage). Lightspeed Live Stream is program and stream conditioning technology that allows users to switch between live and scheduled sources and to prepare live content for frame-accurate ad insertion and content replacement. This avoids the need for downstream re-encoding. To address the need or mandatory captioning and subtitling services, Telestream will show the latest version of its CaptionMaker software, which now supports over 100 languages with auto-transcription and fully automated captioning and subtitling workflows. For high-volume, enterprise workflows, users can batch submit media using the Vantage Cloud Speech connector saving time and processing media faster. 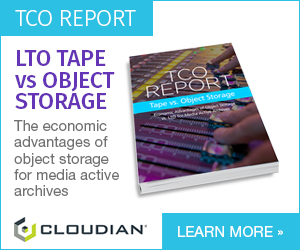 ​Telestream Orchid: Pipe Dream or Genuinely New Channel Creation Capability?